After visiting three Affiliate communities in 2018, the staff at the Smithsonian Learning Lab wrapped-up their Teacher Creativity Studios at the City of Austin Asian American Resource Center (AARC), a Smithsonian Affiliate in Austin, Texas. As mentioned in Part 1, the goal was to increase digital access to museum collections and inspire students to investigate the world around them using objects, documents, videos and more, all available for free online. In this final installment, Hanna Huang, culture and arts education coordinator and acting supervisor at the Asian American Resource Center, shares her project, Austin’s Asian American Pacific Islander Roots. 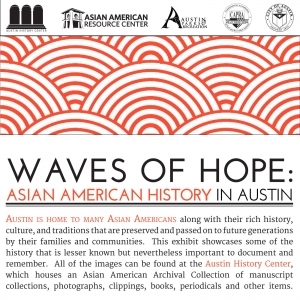 The AARC partnered with the Austin History Center to define Asian American Pacific Islander (AAPI) programming. Huang sees each AAPI community as special and unique in its makeup, much like the many cultures, ethnicities, and languages that comprise what we know as AAPI. To share this with a wider audience, the partners worked with the Learning Lab to create a collection for teachers based on a revived exhibition that covers Asian Pacific American history in Austin from the late 1800s past the 1980s. As you work your way through, you can not only see all the images and texts from our exhibit but also find learning tools to help you with teaching topics such as Asian Pacific American history, immigration, Texas history, primary/secondary sources, and more! Read Huang’s full blog– Austin’s Asian American Pacific Islander Roots—here. And don’t forget about Part 1 and Part 2 in our Learning Lab Series! Want to see more Learning Lab in Affiliate neighborhoods? Check out these blogs from past workshops at the Senator John Heinz History Center in Pittsburgh, Pennsylvania. The Teacher Creativity Studio program received Federal support from the Asian Pacific American Initiatives Pool administered by the Smithsonian Asian Pacific American Center. f you are interested in learning more about the Smithsonian Learning Lab and how it could help your museum support teachers and students in your community, contact your National Outreach Manager. In Part 1 of our Smithsonian Learning Lab series we took you to the Tsongas Industrial History Center at the Lowell National Historical Park, a Smithsonian Affiliate in Lowell, Massachusetts, where teachers were exploring the question “Who belongs?” (You can read the full blog here.) 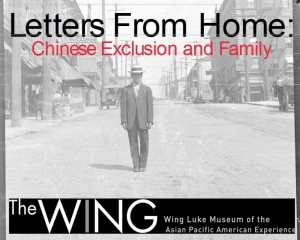 This time we’re headed to the Wing Luke Museum of the Asian Pacific American Experience, another Smithsonian Affiliate in Seattle, Washington, to explore immigration through the lens of Chinese immigrants. In his blog Beneath the Text: Analyzing Letters from Seattle’s Chinatown-International District, Rahul Gupta, education and tours director at The Wing, developed his first Learning Lab gallery using the museum’s collection of letters to to discuss three areas of immigration– “push” and “pull” factors that bring immigrants to the country or that reject their presence, and the letters’ style, writing and format. I am often amazed at what I learn at this job every single day—and this project opened my understanding of the personal impact of colonialism, Chinese nationalism, gender relationships, and changing gender roles—and more and more. There are brilliant gems within our museum collection, and I am restlessly waiting to place more of these archives and artifacts into the hands of teachers and students around the country. Read his blog and view his Learning Lab collection here. If you are interested in learning more about the Smithsonian Learning Lab and how it could help your museum support teachers and students in your community, contact your National Outreach Manager. Summer is heating up with Affiliate activity coast to coast! 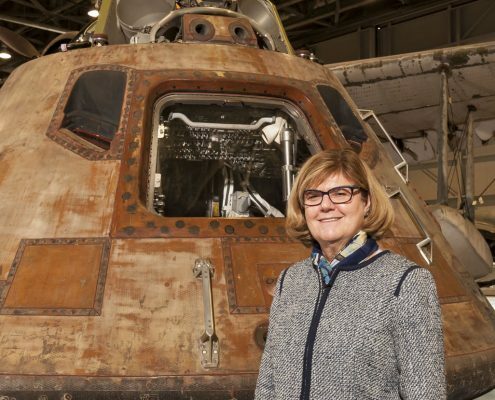 The Saint Louis Science Center will host a lecture by Dr. Margaret Weitekamp, curator at the National Air and Space Museum, on Star Trek: Science Fiction to Science Fact in St. Louis, 7.6. The International Storytelling Center will host a Smithsonian Channel Screening of A Star-Spangled Story: Battle for America on 7.9 and My Big Bollywood Wedding on 7.23 in Jonesborough. Several Affiliates are screening shows from the Smithsonian Channel this month. Historic Annapolis hosts a talk by Dr. Kenneth Cohen, curator at the National Museum of American History, on A 17-19th Century Pub Crawl: Taverns in Early America in Annapolis, 7.10. The Hermitage Museum and Gardens will host a lecture by Cynthia Brown, Manager of Horticulture Collections Management and Education at Smithsonian Gardens, on the Archives of American Gardens: Capturing Garden History in Norfolk, 7.11. The North Carolina Museum of History will host a screening of the Smithsonian Channel film, A Star-Spangled Story: Battle for America, in Raleigh, 7.11. The Carver Museum, part of the City of Austin Parks and Recreation Department will host a screening of the Smithsonian Channel film Black Wings in Austin, 7.14. The Children’s Museum of the Upstate will host two teacher workshops featuring educators from the Smithsonian on Fostering Wonder and Introducing Astronomy to Young Children in Greenville, 7.24-25. The Connecticut Historical Society (Hartford, CT) will receive $30,000 to support the Connecticut Cultural Heritage Arts Program (CCHAP) and related activities in documenting folklife. The Center will also receive $25,000 to support the Southern New England Traditional Arts Apprenticeship program. The Robert W. Woodruff Arts Center, Inc., on behalf of High Museum of Art, (Atlanta, GA) will receive $65,000 to support the exhibition and an accompanying catalog, Putting Something Over Something Else: Romare Bearden’s Profile Series. The Arab American National Museum (Dearborn, MI), as part of the Arab Community Center for Economic and Social Services (ACCESS) will receive $20,000 to support artist residencies and associated community engagement activities at the Museum. National Jazz Museum in Harlem (New York, NY) will receive $20,000 to support the exhibit From Ragtime to Harlem Stride: James P. Johnson and the Emergence of Recording Technology. Flushing Council on Culture and the Arts, Inc. (Queens, NY) will receive $60,000 to support a series of global music, dance, theater, and multidisciplinary performances held at Flushing Town Hall. Heritage Farm Foundation, on behalf of Heritage Farm Museum & Village (Huntington, WV), will receive $75,000 to support a cultural district master plan in Huntington. Springfield Museums (Springfield, MA) has received a $200,000 grant from Massachusetts Cultural Council to help implement upgrades to the Springfield Science Museum’s bathrooms, lighting and carpeting. 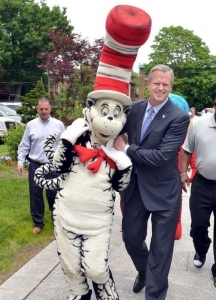 Massachusetts Governor Charlie Baker with the Cat in the Hat. The Governor was on a visit to announce the $200,000 grant. NASA’s Teams Engaging Affiliated Museums and Informal Institutions (TEAM II) announced that the Cosmosphere (Hutchinson, KS) was one of three projects selected from 43 submissions to receive funding. The funded project, Apollo Redux, will incorporate historic mission control consoles from Johnson Space Center with traveling interactive educational exhibits and curriculum. The $650,000 grant will cover the cost of refurbishing the consoles, creating the educational components, and designing the exhibits. Inasmuch Foundation has announced the distribution of $4.154 million in grants to 47 organizations serving Oklahoma communities including $250,000 to the Stafford Air and Space Museum (Weatherford, OK) for the capital campaign for museum expansion. The National Mississippi River Museum & Aquarium (Dubuque, IA) has received a $20,000 grant from The Dubuque Racing Association for a new educational outreach vehicle to take informational learning to the community outside the organization. In particular, it will allow families, schools and the general public to engage with sea life from the Mississippi River Delta and Gulf of Mexico. U.S. Secretary of the Interior Ryan Zinke announced more than $256 million in approved funding to rebuild critical national park infrastructure. Lowell National Historical Park (Lowell, MA) received $4,177,000 for the upgrade and replacement of windows at the Boott Mill Museum. Longtime Buffalo Bill Center of the West (Cody, WY) Chief Executive Officer Bruce Eldredge announced his retirement. The museum’s board of trustees is conducting a nationwide search to choose a replacement. Eldredge will remain in his position until a new director has been chosen. He plans to relocate to the Seattle area to spend more time with family members there. Timothy P. McGrane is leaving his position as Executive Director of the Blackhawk Museum (Danville, CA). McGrane has accepted a new position as CEO of SCRAMP (Sports Car Racing Association of the Monterey Peninsula) and WeatherTech Raceway Laguna Seca in Monterey, California. Today we are pleased to announce an important step in strengthening our content and peer-outreach capabilities. As of June 7, we have aligned the work of two organizations into one management structure called the Smithsonian Institution Traveling Exhibition Service and Smithsonian Affiliations. This unit will be overseen by Myriam Springuel. As many of you know, Myriam has served as the Director of Smithsonian Institution Traveling Exhibition Service (SITES) since 2015 and as the interim director of Affiliations since June 2017. Smithsonian Affiliations has grown into a globally recognized program that establishes and maintains the Smithsonian’s long-term partnerships with museums, educational organizations, and cultural institutions—there are now more than 200 affiliated organizations in 46 states, Puerto Rico, and Panama. For more than 65 years, SITES has shared Smithsonian exhibitions and educational resources with people and places all across the country. More than 500 communities in all 50 states host SITES shows in formats ranging from large-scale exhibits with iconic Smithsonian objects, to exhibitions for mid-size museums and cultural centers, and from small exhibitions for rural America, to poster exhibitions tailored to school classrooms. Putting these two critical entities together under one leader is an important step in improving capabilities related to several goals in the Institution’s new Strategic Plan, including understanding and reaching new audiences, using partnerships more effectively, and catalyzing new conversations around complex challenges across the nation. Myriam brings 30 years of experience in museum planning, management, exhibitions, education, and staff training. Before returning to the Smithsonian in 2014, Myriam worked as a consultant with museums across the country. She was Director of Education and later Associate Director for Programs at SITES from 1986 to 1994. Earlier in her career, she curated fine arts exhibitions and developed education programs at the John and Mable Ringling Museum of Art. Myriam holds a master’s degree in art history from the University of Maryland. We encourage you to engage with Myriam as we consider how to take our work across the country and benefit from our relationships with other museum leaders in the Affiliate community. In 2017-2018 a collaboration among Smithsonian Affiliations, the Smithsonian Asian Pacific American Center, and the Smithsonian Center for Learning and Digital Access brought the Teacher Creativity Studios: Fostering Global Competence in the Classroom project to 3 Affiliate communities. 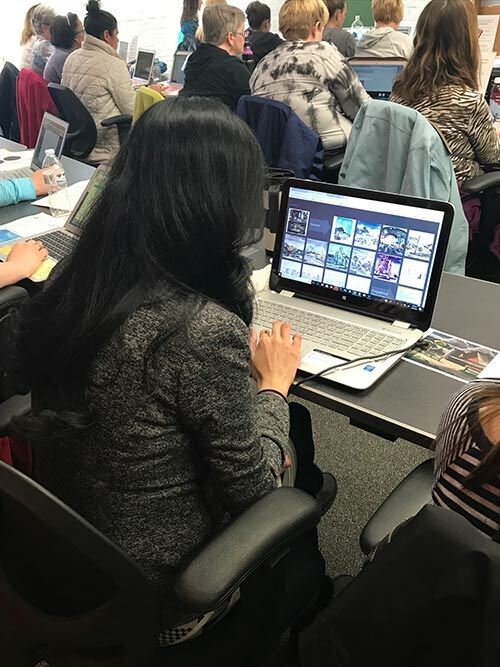 The nationwide professional development project for educators is designed to develop new instructional materials and content highlighting Asian Pacific American experiences within K-12 humanities subject areas. Smithsonian Affiliates worked with local teachers to create multimedia lessons on the Smithsonian’s Learning Lab portal that integrated resources from the Smithsonian and other participating museums into teaching materials and lesson plans. The goal was to increase digital access to museum collections and inspire students to investigate the world around them using objects, documents, videos and more, all available for free online. A teacher in Lowell, MA, did just that. Laura Lamarre Anderson, Grade 4 Teacher at STEM Academy at the Rogers School, participated in a workshop at the Tsongas Industrial History Center at the Lowell National Historical Park, a Smithsonian Affiliate, to explore the question of “Who Belongs?” with her students. Below is an excerpt from a blog she wrote for the Smithsonian Learning Lab. You can read the whole blog here. In a city like Lowell, rich with a constant flow of immigrants moving in from all over the world, the question of “who belongs” comes up frequently. After facing discrimination themselves, some second- and third-generation Irish immigrants railed against the newcomers who came after. And the cycle continues with each new group of immigrants facing challenges to their rights to be here. Several students in my classroom have come up against challenges to their right to be in Massachusetts, their right to be called American, because of where they or their parents were born. With this in mind, I tried to choose images that reflect the challenges of immigration, that would help generate conversations about how people were welcomed at different points in our history, and that help us to begin thinking about what it means to be an American. Teacher Creativity Studios workshops are funded by the Asian Pacific American Initiatives Pool at the Smithsonian.